Manufacturer of a wide range of products which include Viscose Hand Tufted Carpet, Nylon Hand Tufted Carpet, Woolen Hand Tufted Carpet, Cotton Hand Tufted Carpet, Hand Tufted Floor Carpet and Hand Tufted Carpet. We hold expertise in offering a wide range of Viscose Carpet. These are available with us in various range and colors as per the exact demands and requirements of clients. Our Viscose Carpet are acclaimed for their quality, designer appearance, fine finish and colourfastness. We offer these at market leading rates. We have been counted amongst the most trusted names in this domain, engaged in providing Designer Viscose Floor Rug. These Handloom printed Carpets are made by Skilled Artisans in India from 100% Art Silk(Viscose) in good quality with 100% Viscose giving a good shine to the carpet. Each yarn is Individually tufted by hand to Enhance the Designs appearance. 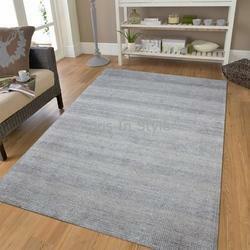 We are offering an excellent quality of wool & viscose carpets. 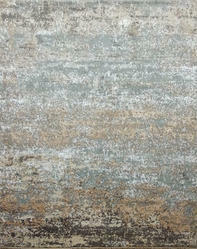 This luxurious rug is made of wool and viscose. The warm earthy colors would be inviting in any room. These are available in different sizes, designs, patterns and dimensions to suit the exact requirements of our customers.